If you’ve lost all of your natural teeth, whether from periodontal disease, tooth decay or injury, complete dentures can replace your missing teeth and improve your smile. Replacing missing teeth will benefit your appearance and your health. There are various types of complete dentures. A conventional full denture is made and placed in your mouth after the remaining teeth are removed and tissues have healed, which may take several months. An immediate complete denture is inserted as soon as the remaining teeth are removed. We would take measurements and make models of your jaws during a preliminary visit. With immediate dentures, you would not be without teeth during the healing period. Even if you wear full dentures, you still must take good care of your mouth. Brush your gums, tongue and palate every morning with a soft-bristled brush before you insert your dentures to stimulate circulation in your tissues and help remove plaque. If you would like more information on how to look after your dentures, click here to visit our denture maintenance section of the website. Immediate dentures are inserted immediately after the removal of the remaining teeth. An advantage of immediate dentures is that you do not have to be without teeth during the healing period. However, bones and gums can shrink over time, especially during the period of healing in the first six months after the removal of teeth. When gums shrink, immediate dentures may require rebasing or relining to fit properly. A conventional denture can then be made once the tissues have healed. Healing may take at least 6-8 weeks. It is not unusual to experience minor irritation or soreness. You may find that saliva flow temporarily increases. As your mouth becomes accustomed to the dentures, these problems should diminish. One or more follow-up appointments with us is generally needed after a denture is inserted. If any problem persists, particularly irritation or soreness, be sure to contact us and we can advise on the best course of action. You may find that your dentures occasionally slip when you laugh, cough or smile. 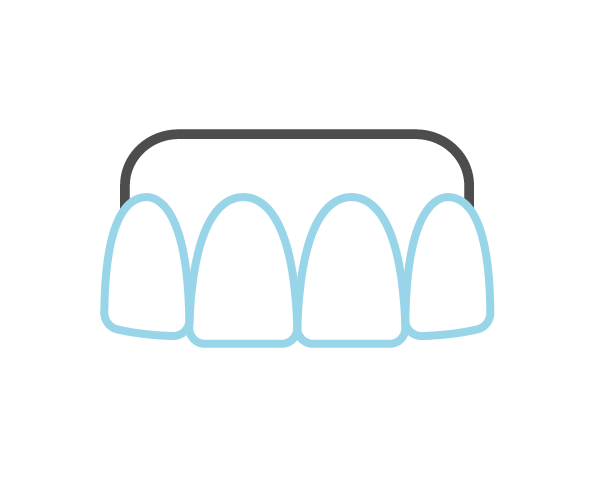 Reposition the dentures by gently biting down and swallowing. If a speaking problem persists, be sure to contact us and we can advise on the best course of action. Over time, dentures will need to be relined, rebased, or remade due to normal wear. To reline or rebase a denture, we use the existing denture teeth and refit the denture base or makes a new denture base. Dentures may need to be replaced if they become loose and the teeth show signs of significant wear. Dentures become loose because a mouth naturally changes with age. Bone and gum ridges can recede or shrink, causing jaws to align differently. Shrinking ridges can cause dentures to fit less securely. Loose dentures can cause health problems, including sores and infections. A loose denture also makes chewing more difficult and may change your facial features. It’s important to replace worn or poorly-fitting dentures before they cause problems.